I‘m not proud of this, but I must admit, I’m a 90%er. A drop-out. A MOOC drop-out, that is. In the bottom 10% of my class. According to my stats, readers of this blog were excited about the post “Can a DataViz Novice Become a Slide Snob?” in which I announced that I had registered for the popular Massive Open Online Course (MOOC) “Introduction to Infographics and Data Visualization.” In fact, that link was the most clicked link from this blog thus far. But, I’m sad to report that I did not complete the course. It was exciting to learn about the principles of graphic design from renowned professor Alberto Cairo, but I soon realized I could comfortably consume all the learning, but could not yet produce. I completed all readings, viewed all video lectures, and interacted with classmates in discussion forums after viewing and critiquing interactive data visualizations. But when it came to creating data visualizations, I hit the wall. I can do some Excel basics as you can see here, but had grandiose ideas to push myself to produce something more like these or these. After all, everyone’s doing dataviz these days. Even the US Census Bureau is in the game now (check out their early efforts here.) As for me, it turns out I’ll need some additional time and education to make it off the bench. Fortunately, I’ll have an opportunity at the American Evaluation Association’s Summer Evaluation Institute where I’ve registered for dataviz guru Stephanie Evergreen’s pre-institute workshop Practical Methods for Improving Evaluation Communication. One of my favorite bloggers, Annie Murphy Paul has written extensively about MOOCs and it was here I first read that statistic about less than 10% of registrants finishing MOOCs. 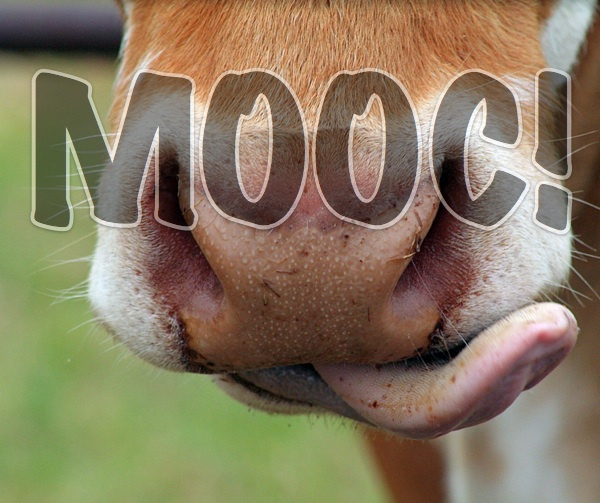 However, in her latest post, “We’re Asking the Wrong Questions About MOOCs” Paul reveals that Stanford researchers “found that people take classes or stop for different reasons, and therefore referring globally to ‘dropouts’ makes no sense in the online context.” Phew! Dodged that ball. Perhaps I’m not a drop-out after all. The researchers “identified four groups of participants: those who completed most assignments, those who audited, those who gradually disengaged and those who sporadically sampled.” I’d likely fall somewhere between “completed most assignments” and “gradually disengaged” – both characterizations preferable to the more pejorative “drop-out.” Thanks guys! Paul ends her post in a way only an evaluator could love: “Certainly, collecting and analyzing the data produced by MOOCs is an important way to sort out all the questions raised by this new educational form.” You go girl! When I did not complete my first MOOC, I had a similar feeling of being a “drop-out”. But after thinking it over I realized taking the course was a very worthwhile experience despite dropping out. The MOOC was a low-stakes way for me to jump into a new subject and realize how much I still had to learn. I feel much better prepared and more informed about the subject even if I didn’t complete the material. William, very well put. I wholeheartedly agree about the low stakes with MOOCs and gaining an understanding of where I am with regard to how much I need to learn. Thanks Ann! You’re so right. I think I did learn a lot, and I do celebrate the learning, even when I don’t finish a task. If I read half of a book, that’s learning, and better than not cracking the cover, right? Right there with you! I too “dropped out” of that course (finishing all the readings and viewing the lectures, but not being able to submit the week 4-6 assignments). I appreciate that most Coursera classes recognize this in their pre-course survey, asking to what extent we intend to participate. It provides a level of flexibility and understanding from the front-end. We might not be able to “finish,” but we will still be learning! Thanks for your comment Molly. While it’s good to know I’m not alone (well, I kind of knew that from the statistic! ), I’m sorry that you too, were unable to finish the course. It’s interesting that Coursera has that pre-course survey, and I can’t help but wonder if the just completion of an intention form (i.e. declaring your intent to course instructor) might somehow influence course completion. Hmmm…potential for an RCT study, perhaps. Like you, even though I didn’t finish the course, I very much value the learning.